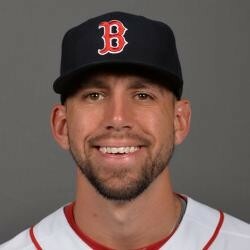 Matt Barnes is poised to win an improbable spot in the Red Sox bullpen on Opening Day.The likelihood that he was ticketed for the starting rotation at Triple-A Pawtucket has given way to the inevitability that he will head north with the Red Sox, a power arm in a generally soft-tossing bullpen. With the likelihood of starting closer Koji Uehara beginning the season on the DL, Barnes has found himself with the opportunity to make the big club out of Spring Training. Barnes has struck out 16 hitters and walked three in 12 innings pitched so far this spring. With his impressive strikeout potential, he should be valued in deep and dynasty leagues. Uehara owners should keep an eye on his injury until he is back to full stregth.